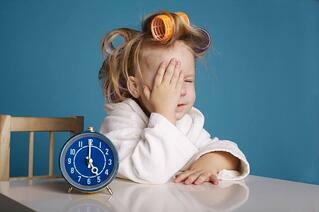 Struggling with sleep after turning the clock forward last weekend? Mercy Medical Group neurologist and sleep expert Robert Dias, MD offers five tips to help you get the most out of your ZZZs. 1. Temperature matters: Your body temperature drops naturally at night and a cooler room makes it easier to catch some ZZZs and stay asleep. Turn the thermostat down below 68 degrees if you can. 2. Keep it consistent: Choose a bedtime and stick to it during the week, on weekends and during vacations. 3. Develop a routine: Bedtime rituals are critical. Having a regular relaxing routine before you go to bed helps mentally and physically prepare you for sleep. 4. Watch what you eat: If you eat too much before you sleep it can give you problems with reflux or heartburn. Additionally, avoid consuming caffeine in the afternoon. 5. Wait until you’re tired: If you don’t go to bed when you are sleepy, you may start to associate your bed with being awake. If you don’t fall asleep within a half hour of laying down, get out of bed and try again later. Still having trouble sleeping? Contact a neurologist near you!